SAN JOSE, Calif.  Oct. 19, 2010  Cisco announced today results of an international workplace study that reveals three of five workers around the world believe that they do not need to be in the office anymore to be productive. In fact, their desire to be mobile and flexible in accessing corporate information is so strong that the same percentage of workers would choose jobs that were lower-paying but had leniency in accessing information outside of the office over higher salaried jobs that lacked flexibility. These and numerous other findings provide real-life insight into the expectations, demands, and behavior of the global workforce that is influencing the way information is accessed and how business communications are changing. The study, which involved surveys of 2,600 workers and IT professionals in 13 countries, revealed that three of every five employees (60 percent) believed it was unnecessary to be in the office to be productive. This was especially the case in Asia and Latin America. More than nine of 10 employees in India (93 percent) said they did not need to be in the office to be productive. This sentiment was extremely prevalent in China (81 percent) and Brazil (76 percent) as well. Two of every three employees surveyed (66 percent) expect IT to allow them to use any device  personal or company-issued  to access corporate networks, applications, and information anywhere at any time, and they expect the types of devices to continue diversifying. In the future, employees expect their choice of network-connected endpoints to broaden to non-traditional work devices like televisions and navigation screens in cars. For employees who can access corporate networks, applications, and information outside of the office, about half of the respondents (45 percent) admitted working between two to three extra hours a day, and a quarter were putting in four hours or more. However, extra hours do not translate to always-on, on-demand employees. They simply want the flexibility to manage their work-life balance throughout their waking hours. Employees also feel strongly about having the flexibility to work anywhere that it would dictate their company loyalty (13 percent), choice of jobs (12 percent), and morale (9 percent). For example, two of three employees worldwide (66 percent) said they would take a job with less pay and more flexibility in device usage, access to social media, and mobility than a higher-paying job without such flexibility. This percentage was higher in some countries, such as Spain (78 percent), despite economic woes the past couple years. Can Businesses Meet Employee Needs? Almost half of the IT respondents (45 percent) said they are not prepared policy- and technology-wise to support a more borderless, mobile workforce. Not surprisingly, security is the top concern. Although many of the IT respondents felt security (57 percent), budget (34 percent), and staff expertise (17 percent) were the biggest barriers to enabling a more distributed workforce, employees often felt IT and corporate policies were the obstacles. This perception among employees was extremely prevalent in India, where more than half (58 percent) felt IT was the obstacle to a more flexible work style. About one in five (19 percent) employees globally said they have noticed strangers looking at their computer screens in public, while an additional 19 percent admitted that they never think to check their surroundings. Nearly one in five (17 percent) employees admitted leaving devices unattended in public. Almost three of every five employees globally (58 percent) admitted that they have allowed non-employees to use their corporate devices unsupervised. As workforces become more distributed, the potential for data loss increases. One of four IT respondents (26 percent) said one-fourth of the devices issued to employees in the past 12 months had already been lost or stolen. As workforces become increasingly mobile, security and risk management concerns inevitably grow. The findings indicate the real need for better corporate policies, end-user education, and stronger, trusted relationships between employees and IT departments. How well IT brokers these relationships impacts a company's growth, productivity, competitive advantage, as well as its risk management. The study was commissioned by Cisco and conducted by InsightExpress, a third-party market research firm based in the United States. Cisco commissioned the study to maintain its understanding of present-day challenges that companies face as they strive to address employee and business needs amid increasing mobility capabilities, security risks, and technologies that can deliver applications and information more ubiquitously  from virtualized data centers and cloud computing to traditional wired and wireless networks. The global study focuses on two surveys  one centering on employees, the other on IT professionals. Each survey included 100 respondents from each of the 13 countries, resulting in a survey pool of 2,600 people. The 13 countries include the United States, Mexico, Brazil, United Kingdom, France, Spain, Germany, Italy, Russia, India, China, Japan, and Australia. 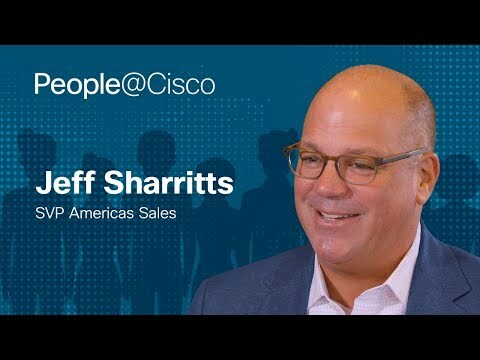 "The Cisco Connected Technology World Report gives further insight into the future of the workplace and it is clear from the research findings that the desire among employees to be more mobile and flexible in their work lifestyles is extremely strong throughout the world  as strong as salary. It is also evident that organizations need to embrace a borderless IT infrastructure to capture competitive advantage and increase employee satisfaction. The employee desire to be productive anytime, anywhere, using any device provides an opportunity to embrace the agility and flexibility provided through a Borderless Network Architecture." "Employee mobility is a fact of life, and the business advantages are clear across many industries. 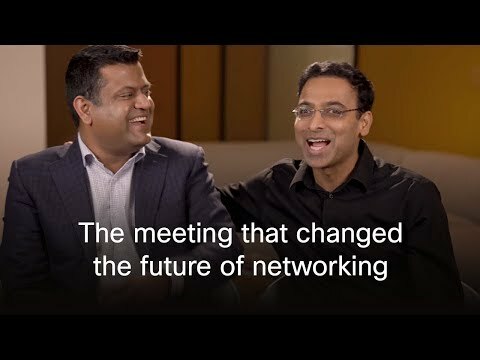 While The Cisco Connected Technology World Report does identify real challenges for businesses, it also spotlights an opportunity for IT to enhance its relationship with employees and its role as an adviser and educator. Simply put, this report serves as a call-to-action for IT organizations. Work is not a place anymore. It's a lifestyle, and the IT profession's role is only going to get more strategic as it tries to help businesses stay agile and increase productivity." Graphic: Employees Want Mobility & Flexibility  Is IT Ready?